This was the worst piece of television I have ever seen. Shane Van Dyke was having a laugh when he made this. The effects were a total joke, looked like a PC game from about 10 years ago. 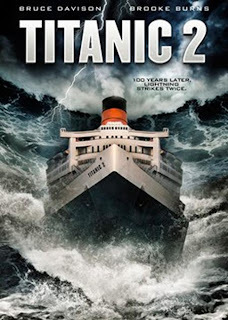 The story was madness (an 800mph tsunami forces an iceberg into the path of the titanic). James Cameron must have been laughing his head off. Acting was awful, can't believe any actors would star in this film even for money. If you have 2 hours of your life you don't want to get back, you should watch this film. Almost so bad it's actually good. I hope they don't consider a titanic 3 because that would really be a disgrace to the film industry. subtitle indonesia nya ada gak boss..